Get $100 In Google AdWords credit* with every MacHighway hosting package. Google AdWords is a pay-per-click advertising program by Google. With AdWords, you can promote your website’s products and services on Google.com’s search results in the “sponsored links” section. Quality ad text and relevant keyword buys will give you an edge over your competitors. And with AdWords, you can set your own budget and change your campaigns at any time -there are no commitments or spending requirements of any kind. Control your budget and overall costs. Set your daily budget and the amount you’re willing to pay for a click. You only pay when someone clicks on your ad. No risk. No obligation. There’s no minimum term or commitment. Once you use the coupon amount, you’re under no obligation to continue. Order web hosting (either a Small, Medium or a Large Plan). *Promotional credit must be applied to a new AdWords account within 15 days of creating the account and is valid only for new Google AdWords customers with self-managed signup accounts. Advertisers will be charged for advertising that exceeds the promotional credit. Advertisers will need to suspend their ads if they do not wish to receive additional charges beyond the free credit amount. 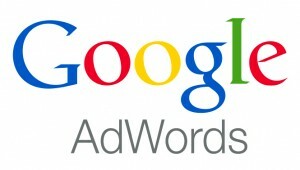 Subject to ad approval, valid registration and acceptance of the Google AdWords Program standard terms and conditions. The promotional credit is non-transferable and may not be sold or bartered. Offer may be revoked at any time for any reason by Google Inc. One promotional credit per customer. Advertisers with self-managed signup accounts are subject to a $5 activation fee. Offer valid only for sign ups through the URL provided for the promotion by customers with billing address in the US or Canada. Void where restricted or prohibited by law.